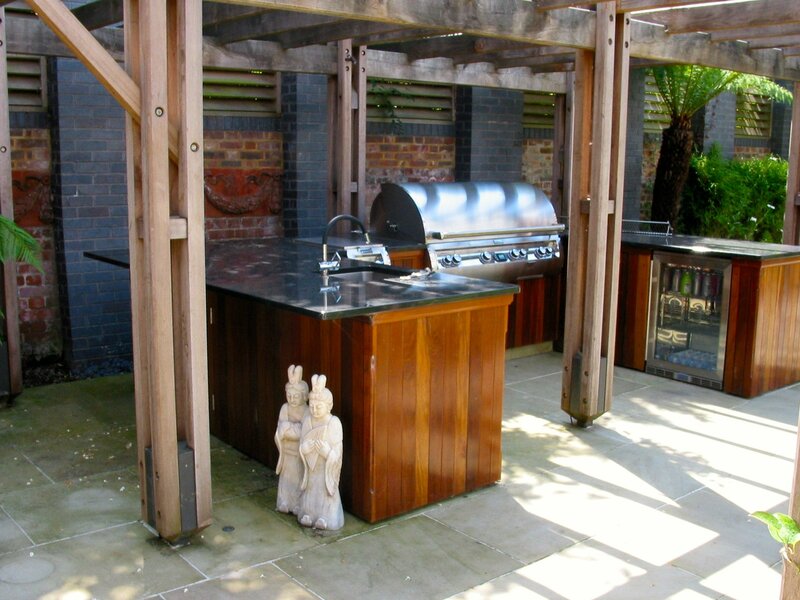 In late 2013, we had an enquiry from Russ Canning, a landscape architect looking for someone to design and build an outdoor kitchen for a large domestic luxury new build project in Home park road in Wimbledon, London. 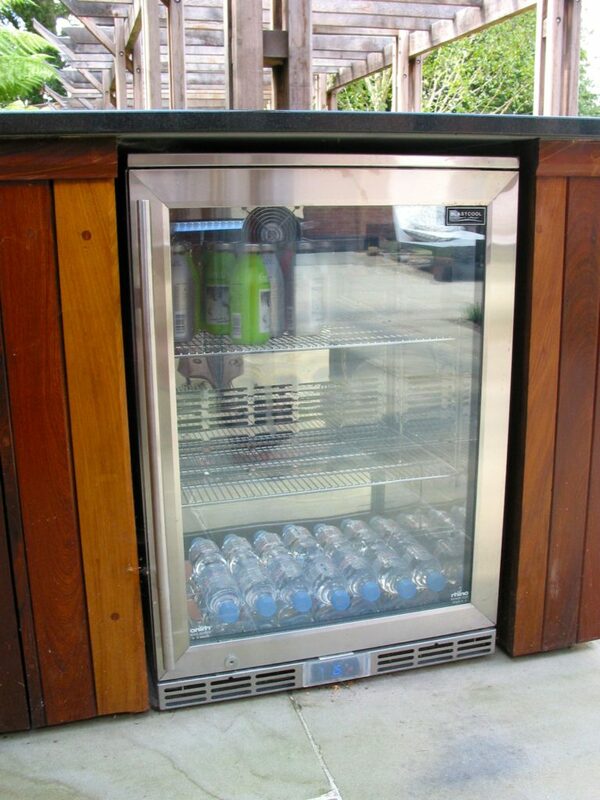 Over several weeks we worked on a plan to present to both the LA and client and was finally accepted in 2014. 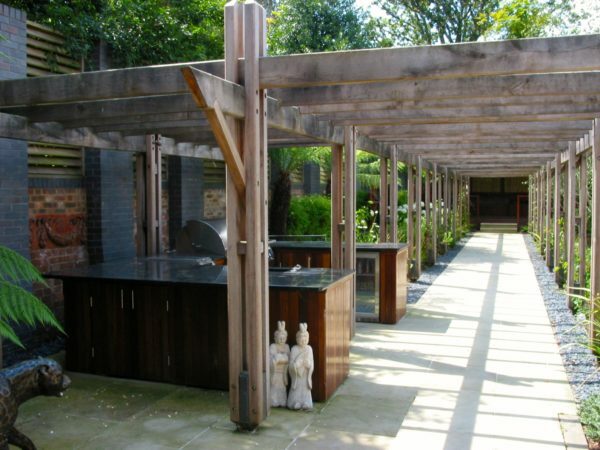 Working with award winning landscapers Bowles and Wyer and Main Contractors Walter Lilly, we eventually began work after torrential rain had threatened to hold up the project for months. Finally after the sawn york stone paving had been laid and services run, we started work in summer 2014 with a Ipe hardwood clad kitchen built on site to match the hardwood clad raised beds and included a large Firemagic mains gas BBQ and side burner, Blastcool outdoor fridge and high-end Franke sink and Arwa tap. The cupboards were designed to take all the lighting and wiring circuits from the garden as well as providing instant hot water via a Zip under-counter instant water heater. 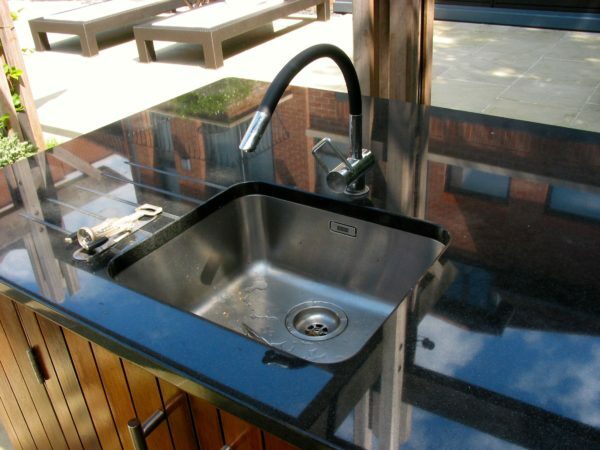 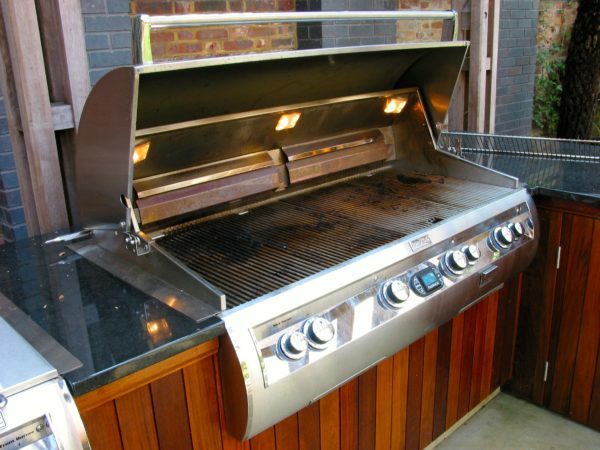 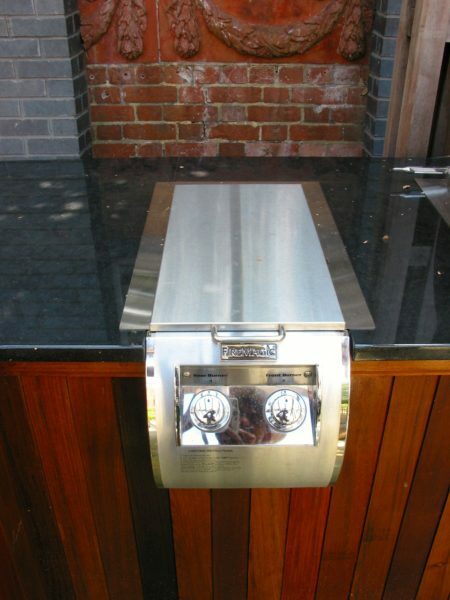 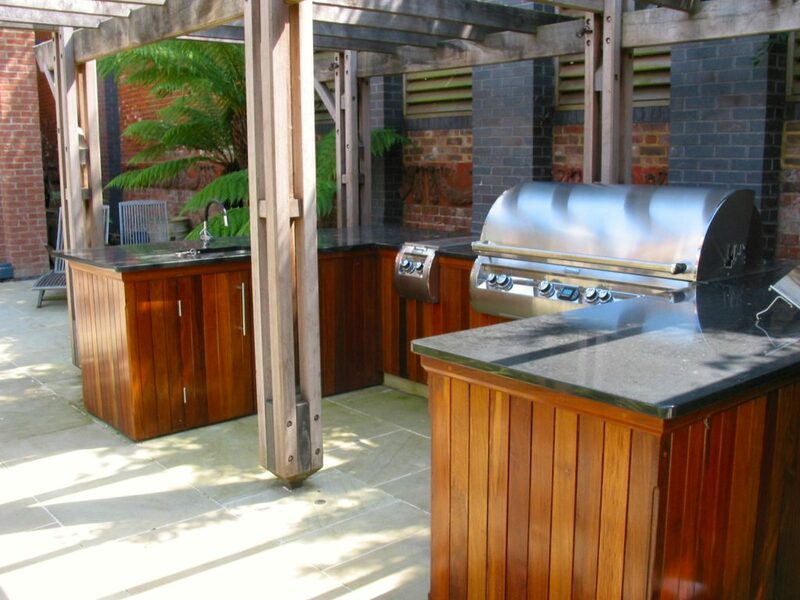 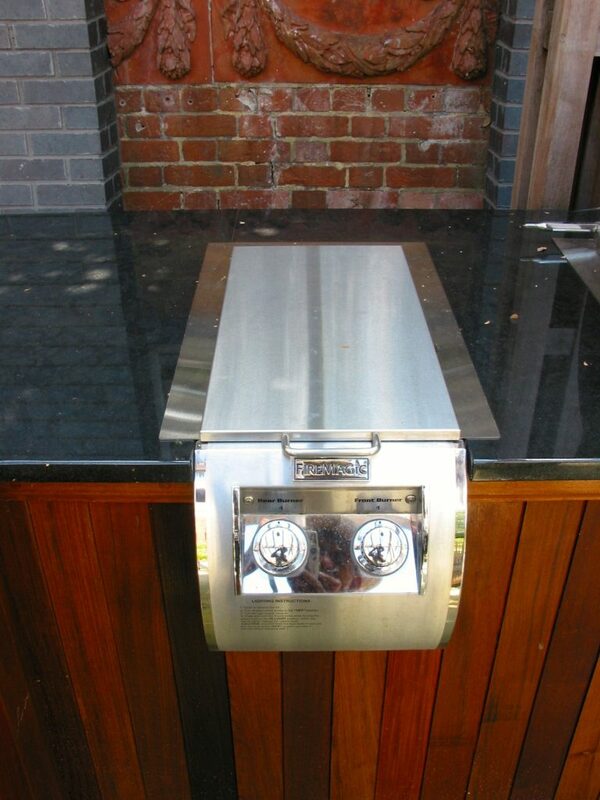 The Outdoor Kitchen Wimbledon has set a benchmark on what can be achieved with cooperation at the highest level of skill.